SM Aura Premier has some super festive options! (SPOT.ph)One of the absolute best things about the holidays is that you have a shameless excuse to, simply put, pig out. And if you’re as excited for this joyous season as much as we are, you’re probably already making plans for where you and your friends and family can celebrate delicious holiday cheer. This Western-Filipino restaurant is all about taking us back to the good ol’ days when food was hearty and comforting. 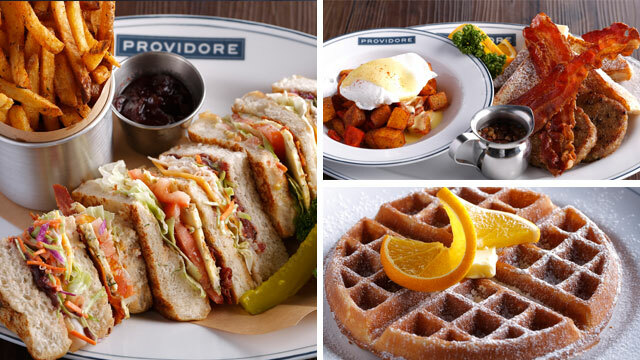 Dishes like the Big Boy, Crispy Seafood Mayo Roll, and Roasted Turkey Club remind us just how seamlessly Providore combines the best of the east and the west to recreate old favorites that we still hold near and dear to our hearts. Its rustic and retro aesthetics perfectly compliment the familiar flavors in the menu, and the built-in coffee bar, bistro, and local artisanal retail area make dining here a truly well-rounded experience. 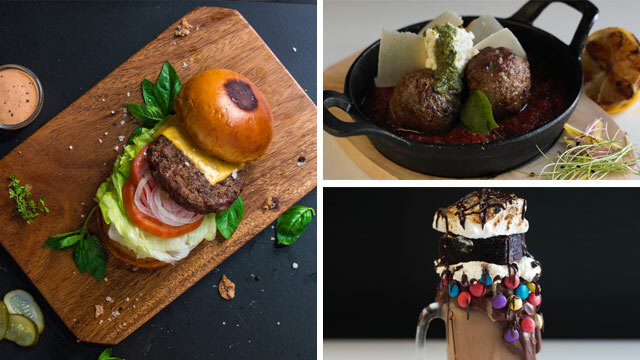 If you’ve got a hankering for some juicy American fare, head on over to Grind Bistro + Café and feast on their premium burger, their signature dish that features 100% USDA-approved beef freshly ground right in the kitchen, slathered with special butter and covered in molten cheese. 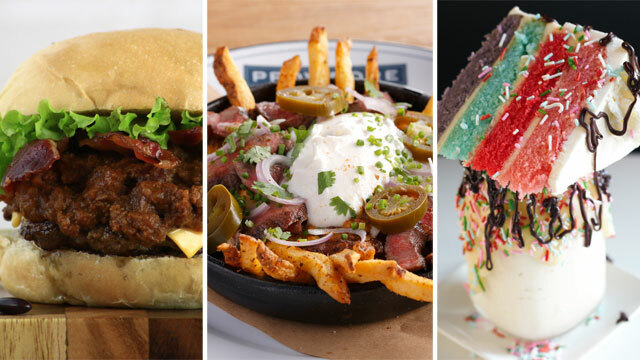 If that’s not enough to make you salivate, they also serve other tasty American staples like steaks, chicken, and salads, which you should try pairing with their prime craft beers and wines. 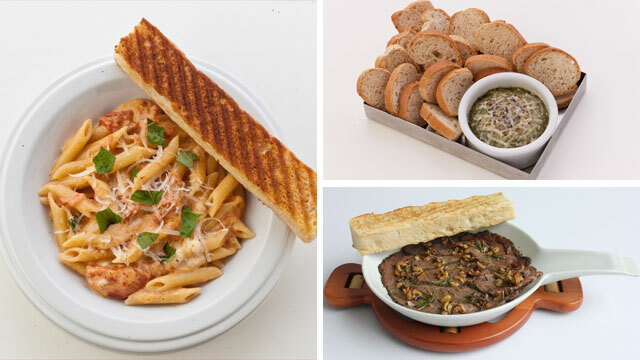 To sweeten the deal some more, Grind Bistro + Café also offers an extensive (and delicious!) range of cakes, ice creams, and milkshakes. Yum! This popular Italian restaurant probably needs no introduction. The brainchild of Margarita Fores, who was named Asia’s Best Female Chef earlier this year, Cibo Prima offers Italian comfort food at mid-range prices, and frequently breaks out awesome deals and promos that further cement it as one of our favorite go-to restos. Make sure to order their extra indulgent SM Aura Premier specials: La Burrata with Prosciutto, Penne al Telefono with Burrata, and Tagliata Di Manzo with Burrata. If you’ve ever wondered what it would be like to eat at a classic American diner, then The Burger Joint should be your next foodie stop. 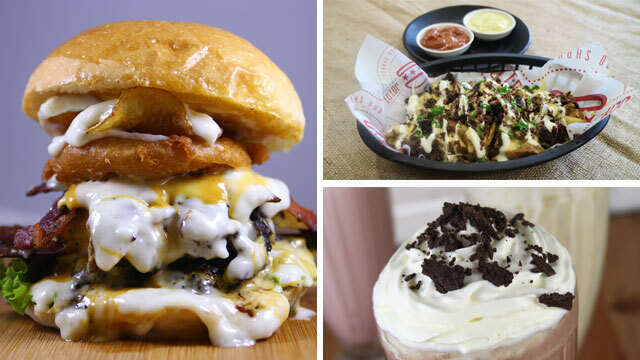 On their menu, you’ll find the exact dishes being offered at the roadside diners so iconic to Americana culture: chili cheese fries, hotdogs, nachos, and of course, a variety of mouthwatering burgers. Be sure to order your burgers with all the works, especially for juicy treats like the Ranchero Chili and Southwest BBQ. We’re all pretty familiar with Chinese grub and have long-held favorites that we’ve had since childhood. A Chinese diner where East meets West, Ping Pong Diplomacy, which will open soon at SM Aura, promises to give classic recipes a new spin. 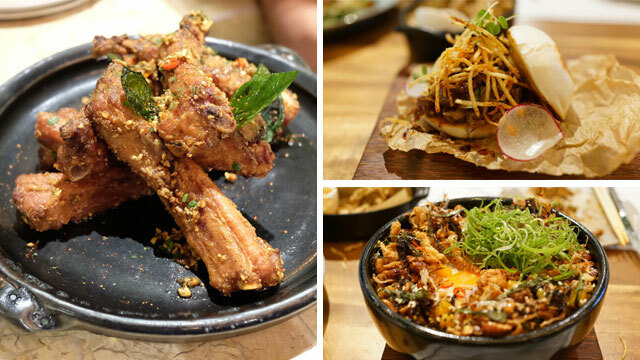 We’re already licking our lips at the thought of trying out their twice-cooked crispy beef ribs, chicken skin fried rice, and deep fried ice cream baos. There’s no doubt that Korean cuisine features unique flavors that have delighted the tastebuds of Filipinos everywhere. So we’re pretty sure you’ll love Jin Joo, a soon-to-open restaurant serving authentic Korean cuisine with a modern twist. 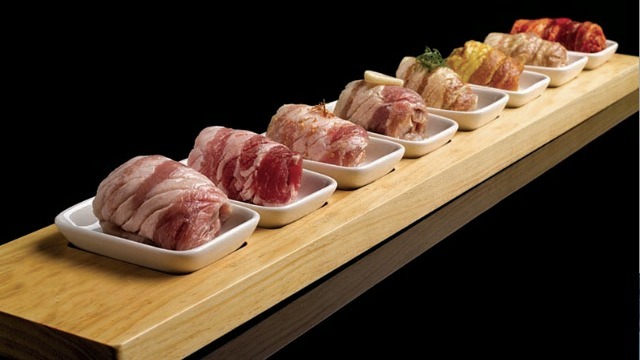 We’re especially excited to try all eight flavors of their marinated Samgyupsal, get a bite of their famous Cheese Deung Galbi, and then wash it all down with their extensive Soju selection. It’s a truth universally acknowledged that cheese is one of life’s greatest gifts. The people over at LAVA Cheese Tarts definitely agree, and are ready to soon open their doors and feed the hungry masses this Japanese treat. 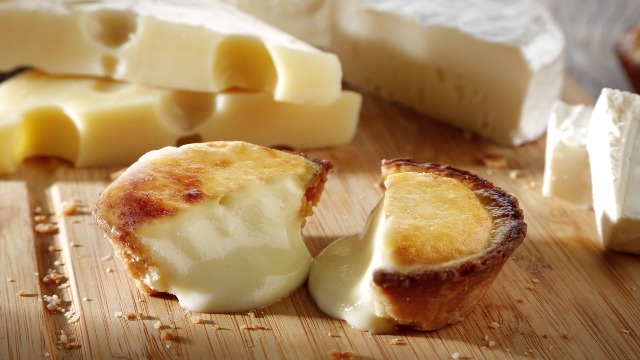 Using locally produced ingredients, these handmade tarts with their rich molten filling will surely bring happy tears to all the certified cheese lovers out there. Another winning concept from the guys behind Churreria La Lola, Rico Rico dishes out paella and tapas in the authentic Spanish tradition. Choose from their roster of paellas, and top up your meal with your pick from their available tapas: gambas, chorizo, and croquetas. 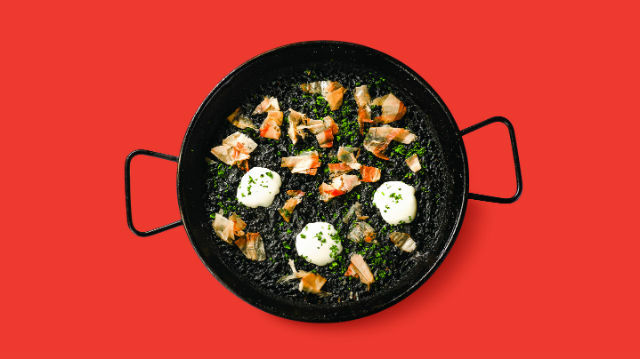 Our pick: the Paella Negra, which infuses rice with squid ink for extra flavor. Foodies have been buzzing about Poke for a while now, and for good reason: this deceptively simple Hawaiian dish, composed of slices of raw fish topped with grains, meat, fruits, vegetables, and choice sauces, are refreshing and incredibly versatile. 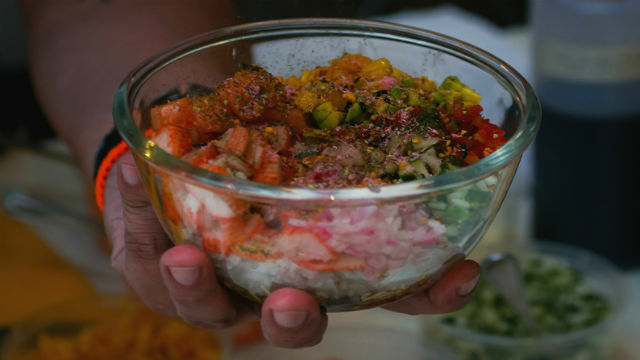 Chef Kel Zaguirre rides this latest culinary craze at Poke Poke, offering poke bowls to suit every Pinoy's taste. His top picks: the umami-packed Samurai, the invigorating Cali, and the luxe For the Rich Only, which has Angus beef and white truffle oil. You can also create your own Poke Poke bowls using the wide variety of fresh quality ingredients they offer, from quinoa to uni. End your get-together on a sweet note by dropping by Hobing Korean Dessert Café! 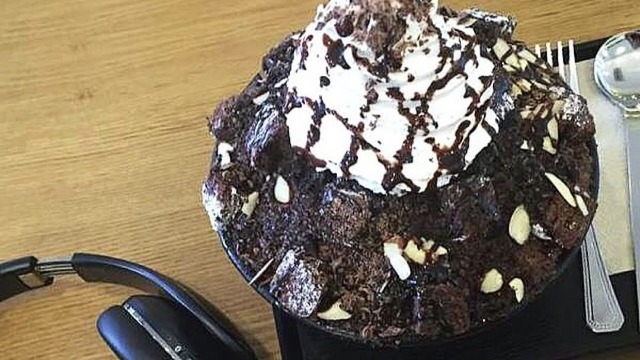 A large order of their bingsu, the popular Korean shaved ice concoction topped with milk and fruit, can be shared by a small barkada, making it the perfect post-dinner treat. They also have toast, coffee, ice-blended drinks, and spicy rice cakes on the menu—plenty of options for the whole gang! Bring your A-game this season and hold your parties and gatherings at these festive new restaurants at SM Aura Premier. No doubt they’ll make your holidays (and tummies) full of cheer! This article was created by Summit Storylabs in partnership with Sm Aura Premier.